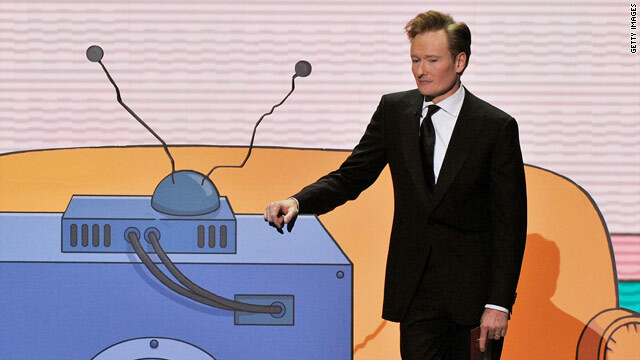 Conan O'Brien's fans have shown vast amounts of support recently. But will they stick around? (CNN) -- They've rallied, made T-shirts and have donned all-orange in support of their favorite late-night host. But while Team Coco has unwaveringly stood by Conan O'Brien during the recent days of his stint as host of "The Tonight Show," it wasn't enough to keep O'Brien on NBC. O'Brien's last day on air -- after seven months -- was Friday, and it'll be nothing but "Tonight Show" repeats and the 2010 Winter Olympics until Jay Leno once again takes a seat at the desk on March 1. O'Brien won't be showing his red mop on another show again until September 2 at the earliest. That is a long stretch of time for a business known for having a short-term memory. The chances that much of Team Coco will stick around for the long, Conan-less haul are pretty slim, said Josh Bernoff, senior vice president at Forrester Research and co-author of "Groundswell: Winning in a World Transformed by Social Technologies." "These social explosions, or groundswells; they're very time-sensitive," he said. "This reached a peak in the last week based on all of the publicity around this, combined with a bunch of people who are fans spreading the word." Entertainment fans, he added, are notorious for such movements, pointing to the buzz that surrounded "Chuck" and "Jericho." The latter movement actually got the show put back on the air. "The problem is that these movements tend to have a core of extremely active, engaged and energetic people surrounded by millions of people who just caught the virus," Bernoff said. James Hibberd of the The Hollywood Reporter is confident that the fans will return en masse to their television sets in support of O'Brien -- at least at first. "I think that it's presumed that Team Coco will definitely be there for his first week," Hibberd said. "When a show is launching, ending or if there's a scandal, there's always significantly high ratings." But, Hibberd added, that won't matter if the ratings can't be sustained. "Late night is always a marathon; it's not a sprint." For Hibberd, O'Brien has done a good job sustaining the Coco fever thus far. "The current swell of viewers is driven to a large extent by circumstance, but you have to give Conan some credit for capturing this audience creatively. The show has felt looser and funnier like he was being more himself lately. It signals to potential suitors that this guy could potentially do better than he did before, because he wasn't quite himself," Hibberd said. O'Brien still hasn't made any declarations about his future home. The Fox network, known for the kind of risky humor that O'Brien does so well, has openly expressed admiration. His success, Hibberd added, is really pegged to where he goes. "His success will be determined by how many ratings he'll need. If he goes to Comedy Central, ratings like the ones he got from 'Tonight' would be huge. If he goes to Fox, with the affiliates, that's going to be a much tighter race, especially if he's going up against Letterman and Leno at the same time," he said. What could differentiate him from his competitors and help him retain his audience, said marketing and branding expert Adam Hanft, is to do the opposite of what NBC needed: keep his edge nice and sharp. "He has a target, and we're living in a world of niche marketing," Hanft said. "The worst thing for him would be to broaden his audience. Gen X and Gen Y are very large markets, and together they're bigger than the boomers." Yet no matter how passionate those fans seem, Bernoff said, O'Brien definitely shouldn't turn to them for advice. "If you have a product and you want to know what ways you might improve it, then you can use social networks. If you're coming up with something new that people have never seen before, you can't. It won't work because they don't [have a concept for] what it is," he said. But even if he can't rely on the #ImWithCoco Twitter feed for feedback, the Web gives O'Brien a shot at keeping the momentum going that he wouldn't have had in the past. "If it was a different media environment, he couldn't do it. The Internet allows him to communicate directly through Facebook, Twitter and YouTube. He can create content -- his own version of 'The Daily Show' if he wants to," Hanft said. "I don't think it's going to be difficult for him," he added. "The question isn't if he can manage to keep the fans, it's how."